Fig 2 from Soltis and Soltis, 2016. Diversification of angiosperms, showing phylogenetic placements of select WGDs and synapomorphies/key innovations. Evolving Ideas on the Origin and Evolution of Flowers: New Perspectives in the Genomic Era. Fig 3 from Chanderbali et al 2016. Floral variation in ANA grade, magnoliid, and basal eudicot angiosperms. 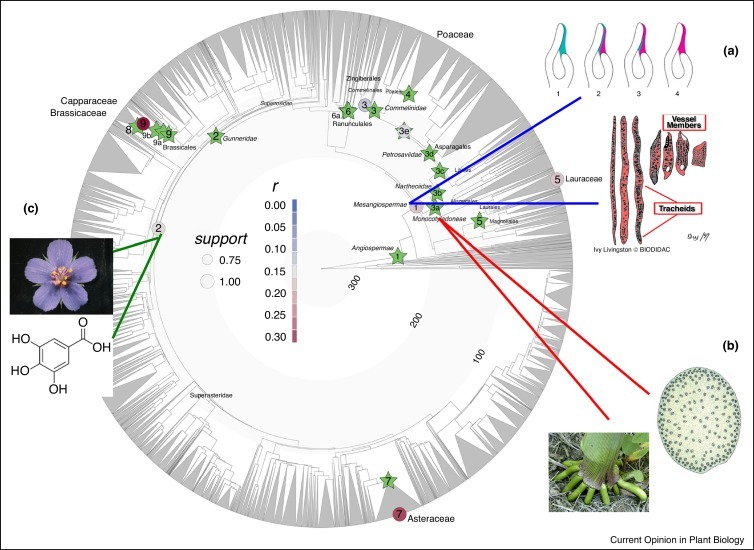 Posted in News, Publications | Comments Off on Evolving Ideas on the Origin and Evolution of Flowers: New Perspectives in the Genomic Era. The University of Florida and the Soltis Lab were well represented at the Botany 2016 Conference this week!